Katama Privacy - a unique Katama condition. 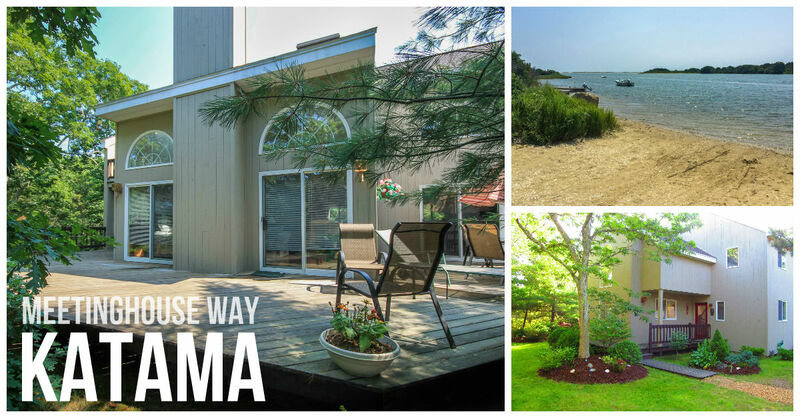 This spacious Katama contemporary home is situated in a lightly wooded, private location 1.5 miles from Edgartown Village and South Beach, and just a short walk away from the Edgartown Great Pond, which offers swimming, boating and picnicking. Opposite conservation land, this bright, open-concept home with 3 bedrooms, 2 baths, and an expansive wrap-around deck, enhances summer living. Many architectural features, including sliding glass doors and half-rounded windows, allows natural sunlight and ventilation throughout. This house is being sold turnkey.